Neil Patrick Harris insists women still want to marry him despite him being gay. 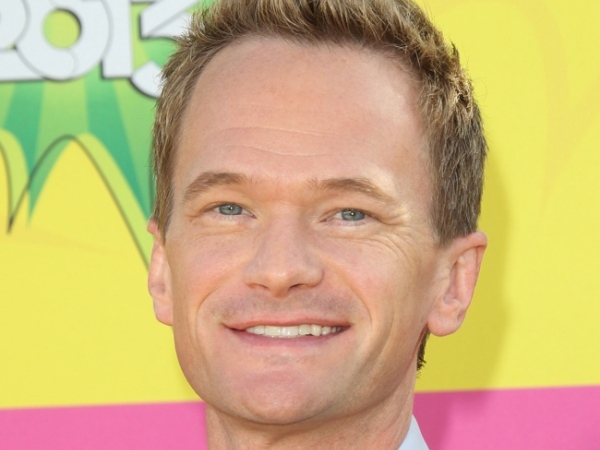 Neil Patrick Harris "loves" the fact women still want to marry him despite him being gay. The How I Met Your Mother actor - who has three-year-old twins, Gideon Scott and Harper Grace, with his long-term partner David Burtka - insists girls have "no issue" with his sexuality and he still attracts a lot of female attention. He told OUT magazine: "I've found that a lot of girls have no issue with me being gay... They still want to marry me. And I love that." The 40-year-old star, who plays womanising Barney Stinson on How I Met Your Mother, will appear on the show for the last time on March 31, as the Fox series comes to an end after nine seasons. He will then appear on Broadway in Hedwig And The Angry Inch, playing the lead part of a transgender glam rock singer from East Germany and admits it has brought up his "homophobic insecurities". He admitted: "Hedwig is bringing up a lot of super insecure things within me. I have never thought drag was intoxicating; I've never had a fun drunken Halloween in drag, never been in heels, really. I've lived my whole life being attracted by masculinity - it's why I like guys." "I'm not a super effete person, and I have to turn into that, and in doing so it brings up a lot of homophobic insecurities within myself." But the actor insists he's prepared to put everything into his performance and "embrace" the transgender role. He continued: "Part of Hedwig is Iggy Pop in all of his f***ed-up glory. So I'm looking forward to squatting down in front of the first row and having people spit in my mouth. It's that kind of show. I'm anxious, one night, to fall backwards and be led on my back by people with their hands outstretched. " "I don't think that will ever happen, but that's the vibe I'm looking for, that's the vibe I have to embrace. I don't f***ing care, you gotta go to a nasty place."